Tibor Lázár, 2019. 03. 21. Why would I live in Skyline Residence Budapest? These days, we consider the luxury homes of Skyline as the flagships of our company. We had the opportunity to join into this exciting project and become an essential particle in the creation of the most modern and high-tech real estate in the city. 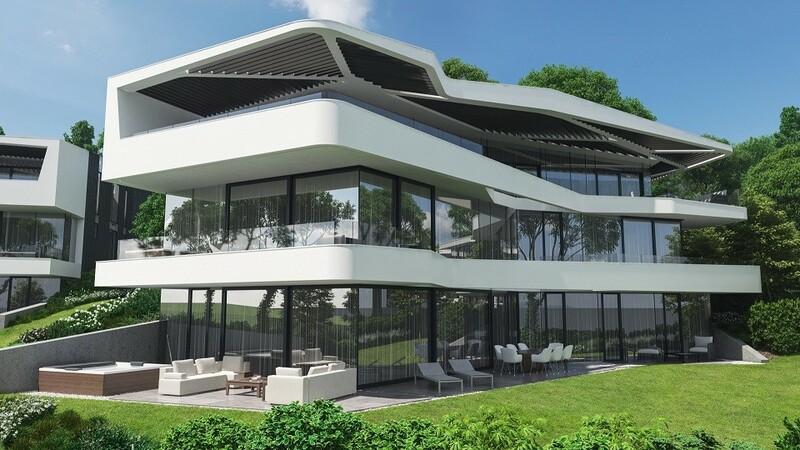 The very honorific mission of ours is to deliver these stunning architectural solutions, these loving homes, the visions of award-winning designers, to those who are seeking luxury and premium, and open-minded to the unusual shapes and futuristic styles of Skyline. Luxury does not have a definition. It's rather something abstract, than something exact and concrete phenomenon. And of course, lot of different things could be luxurious, depending on what object do we think of: for example a car, a bag, a watch, a piece of jewelry, or an apartment. What's the most common mistake is that luxury is relying on price. Of course, for a premium category product, You will have to pay the price, but it's not becoming luxurious just because of that - the cost must be reasonable. And what's the basis for a real estate to become luxurious? Seeing the past years' trends, location plays a key role. 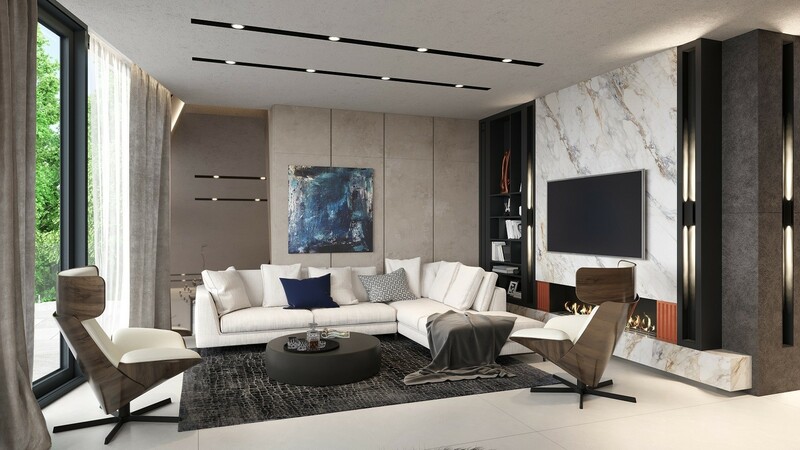 A luxury real estate doesn't have to be separated at any cost, what's more, in the best case, it's easily accessible from the main junctions of the city - beside the fact that the home itself lays on a comfortable, not overcrowded part. Under location, we do not only mean the placement on the map: environment that surrounds also has to be considered. The two top rehabilitation areas of Budapest are District II and District XII - both can provide great air quality, huge amount of green fields, and spacious arrangement (in latter, District XII. is stronger). Designers' work is also heavily associated with the notion of luxury. Many houses could be proud of their charming outlook (or interior) that follows the most recent trends - meanwhile, we have to go further in case of luxury: we must not talk about "following" any trend, instead, we have to speak about "dictating" the new ones, being the pioneers in creating new designs and unusual solutions. One glance at Skyline visuals, and You will see what I'm talking about: brave new shapes, unique constructing techniques, still a totally functioning, flawless building that'll become a lovely home of the lucky ones. Beyond that all those mentioned above could be find in it. My personal favorite thing about Skyline is how the private atmospheres were planned, preserving the advantages of a family house and a residential area too. The apartments of Skyline are placed on top of each other (one apartment per level) in a rotated way, with some difference between in the ground levels. The formerly mentioned one results in a fully intimate sphere, with no sight to the other residents of Skyline (and vica-versa). The result of the latter one (the difference in ground levels) is a garden area even for the apartment on the first level. So that, flats on Level 1 will have a balcony and a terrace at the same time! Thanks to all these, the future residents will enjoy a totally private life separated from each other, while still not being alone in the area. As I've mentioned under the previous headline, there are the real estates that are labeled by the term "luxury", while there are the real estates that are luxury - for real. Even in that case, it is pretty rare that a non-stop security service plus a private road with a barrier is connected to the apartment. So that, people living in Skyline Residence can feel invincible, and be safe all the time. In the environment, there's a little excitement, a little newness: houses of Skyline are being built into the territory of the former Jókai-kert (Jókai-garden). This is an enormous, untouched green area, with no buildings on it before. Since it's a huge space, there will be plenty of garden-like, nature-dominated area left beside the houses. Some Skyline apartments will have an outlook to the green area, while some will have a panoramic view to River Danube. If my lines above were not convincing enough, see Skyline for yourself, take a walk in it! Rotate the video with your cursor, or - which I'd personally recommend more - use your smartphone and move it around, to see every corner. Who knows, maybe You'll be one of the first residents of Skyline?